Sensei Slicer chef"s knife ideal for precision cutting and thin slicing. 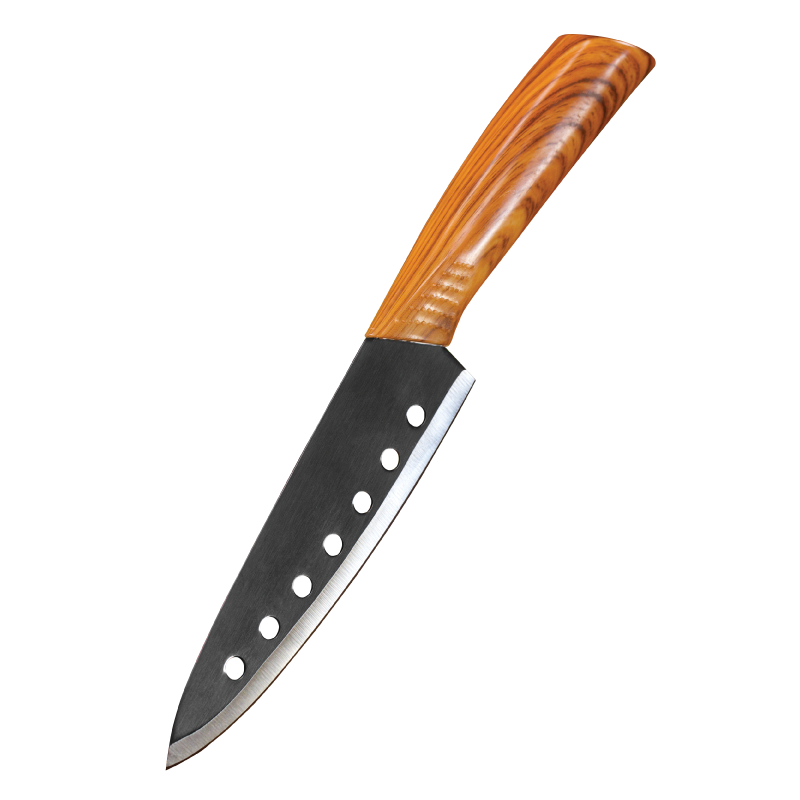 Most traditional knives in our kitchens are double-beveled or sharpened on both side. 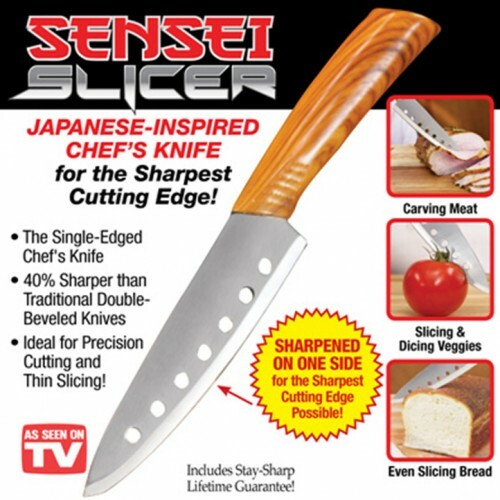 The as seen on TV Sensei Slice is single-beveled or sharpened on one side to create a stronger sharper blade.